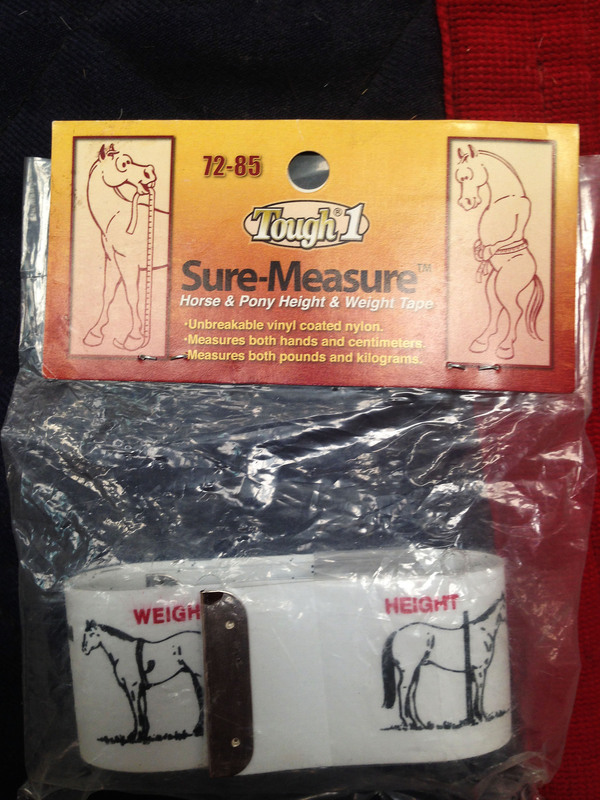 I came across the Tough-1 Sure Measure Tape from eQuestri a while back and I am glad that I got my hands on it as it is so much easier to use than normal measuring tape or string. Want to know your horses approximate weight and height? This height and weight tape for horses and ponies will enable you to make very close estimates of your animals size. Constructed with unbreakable vinyl-coated nylon. Measures in both hand and centimeters, as well as in pounds and kilos. Measures up to 20 hands and 1,400 pounds. The Tough-1 Sure Measure Tape is made with vinyl coated nylon which makes it unbreakable. It has a quick grip velcro closure for easy roll up and compactness. On one side, it estimates the horses weight in both pounds (lb) and kilograms (kg) for horses up to 634kg/1398lb. It also has some instructions on how to use the tape for the different measurements you may be looking for. The tape does give you enough instructions to work with; but if you find yourself confused or stuck trying to take the weight of your horse, you can always take a look at the video in my de-worming post which shows you how to weigh your horse using a tape. Verdict: I would definitely recommend this product. It is a must have for every horse owner/leaser!